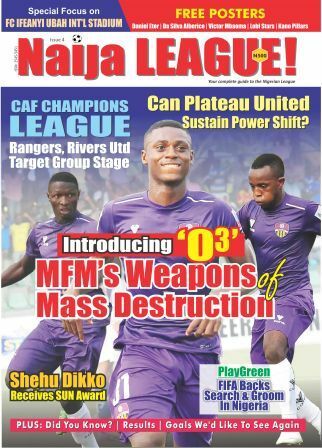 Plateau United made a bold move for their first ever Nigerian title as they claimed an important point at Lobi Stars, on Sunday. Isaac Loute’s sublime set-pieces gave FC Ifeanyi Ubah the lead in the first half. The goals came in the 36th and 45th minute of the encounter when the Benin international drove home two free kicks coming from similar position at the edge of the box. But the visitors came back into the game in the second half where by Sani Abbani and Austine Oladapo’s goals kept Manu Garba’s men level. Yaw Preko persecuted the game without some key elements. Last season’s goal king, Godwin Obaje did not make Matchday squad, as well as Ivorian Import Pascal Seka. Other visible omissions were King Osanga and Bright Onyedikachi, which made the home side’s attack less potent. On the other hand, the visitors came with their predictable stars in the squad. The likes of Habib Yakub, Haruna Adamu, Saleh Mohammed and Austine Oladapo were on hand to inspires their mates to a decent feat on the road. A dramatic scene ended the game as the centre referee blast the final whistle just before Gombe United made it three. The Anambra Warriors’ continental hopes seem frail as the sit 5th position with 46 points having 8 games to go, while Gombe United relegation battle is not over yet as they still occupy 19th position. FC Ifeanyi Ubah face Oriental neighbors, Abia Warriors in a titanic battle in Umahia. Nasarawa United tried to pull a stunt at the Nest of Champions, but Firday Ubong’s goal cancelled out Nasarawa’s Abdulkadir Aminu’s lead and then Christian Pyagbara got the winner for the Promise Keepers. With their title hope still feasible, Abdul Maikaba’s side has garnered 50 points from 30 games. A goalless draw with Lobi Stars in Makurdi has shown that Plateau United are keen on lifting their first trophy in the history of Nigeria football, under the tutelage of coach Kennedy Boboye. 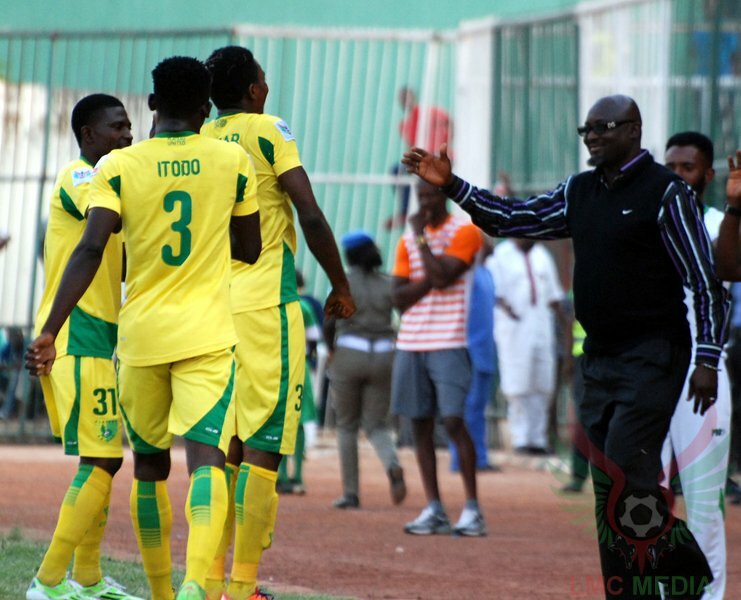 The point takes Plateau United to 55 as they extend their leadership on the log. Lobi Stars, by virtue of this draw have failed to win in their last two games. Enyimba left Ibadan empty handed as the Elephants fell to Shooting Stars Sports Club. Only one goal made the difference between the two great sides. Enyimba are still on the top half of the table, 4th position while the host is on the verge of the red zone. Rivers United made up for the previous home defeat by thrashing Wikki Tourists 3-1. The Pride of Rivers are visibly out of the relegation zone, but a hope for another continental place is not possible to come through the elite league. Remo Stars relegation woes gets real after losing 2-0 in Kano, while Niger Tornadoes were forced to a 0-0 draw by Abia Warriors in Lokoja. Sunshine Stars were one goal better than El-Kanemi and Enugu Rangers slipped into the relegation waters after tasting defeat in the hands of ABS FC.